It's been three months since the Sweet 16 arrived to OBG from West Virginia. The pups are doing well overall. Some have adjusted to their new lives a little more slowly and are just now beginning to trust and accept human contact. Their progress is heartwarming and inspiring. For example, Mokey just this past week went up to the second floor of her foster home and joined her foster siblings and humans on the big bed. This was such a big step for Mokey and everyone is so proud of her. 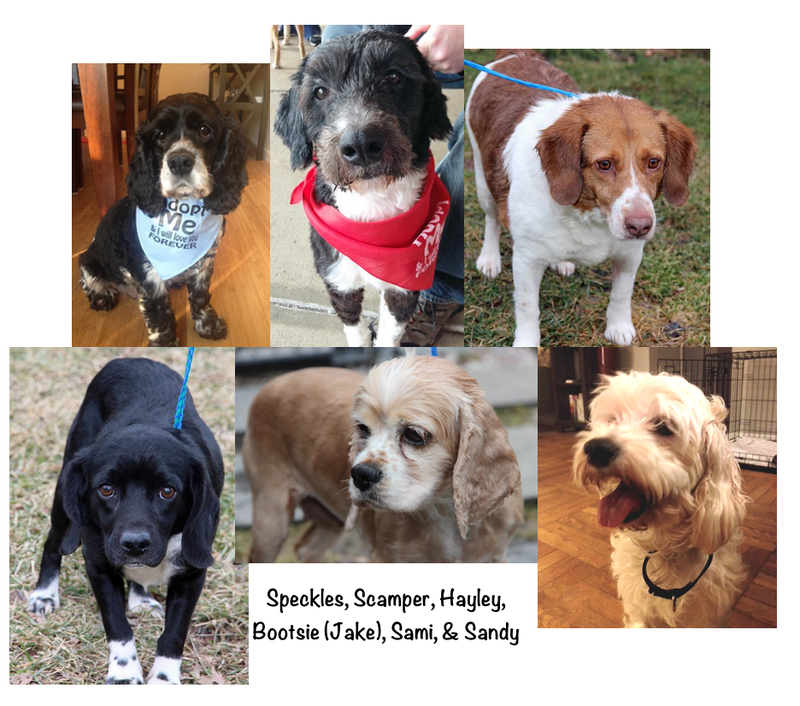 As part one of our update, we are thrilled to tell you that six of the Sweet 16 -- Bootsie (now Jake), Sami, Sandy, Scamper, Speckles, and Hayley -- have found their forever homes! WooHoo! We are so happy for them and their new families! We hope to receive some updates on their happy tails for our readers soon! Of course, the other big news was that the Sweet 16 became 22 with the arrival of Mokey's Little Miracles in early March. 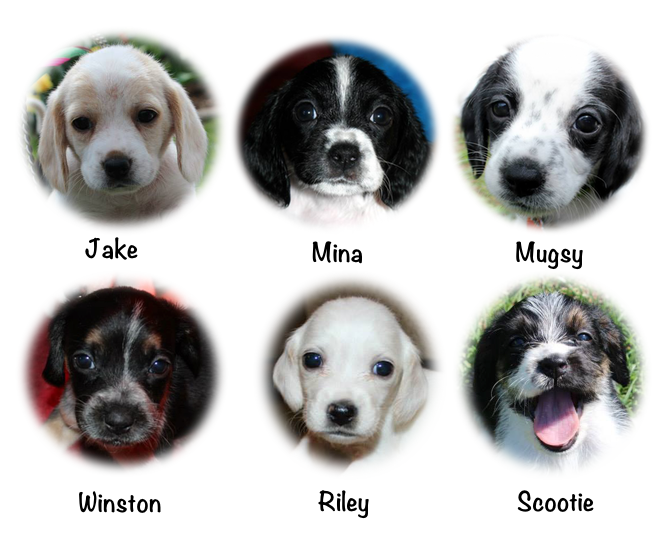 All six puppies -- Riley, Jake, Winston, Mina, Scootie, and Mugsy -- are thriving and will be joining their forever families in early May. Stay tuned for pictures of them with their new families. In the mean time you can photo-follow their young lives through their puppy album - click here - and see photos and videos of them on our Facebook page! In part two of our update, we will catch up with the rest of the Sweet 16!